Prolotherapy is a regenerative treatment method designed to stimulate repair by using the natural healing machinery of the body. Prolotherapy is used for the treatment of chronic musculoskeletal pain caused by ligament, tendons and joint injuries as well as degenerative diseases such as osteoarthritis. Prolotherapy is a combination of two words, 'Proliferation' and 'Therapy'. It is an alternative treatment option that works by stimulating the cell repair in the injured part of the body. Traditional Dextrose Prolotherapy was first used in the 1930s and continued to be used successfully. Platelet-rich plasma (PRP) Prolotherapy was introduced in the 2000s. In this method, the patient's own blood cells were used to initiate and accelerate the healing process at the site of injury. In the past few years, physicians have begun using adult stem cells that are derived from the patient's fat cells or bone marrow cells to regenerate the degraded or damaged tendons, tissues, ligaments, and bones. This is called stem cell Prolotherapy. 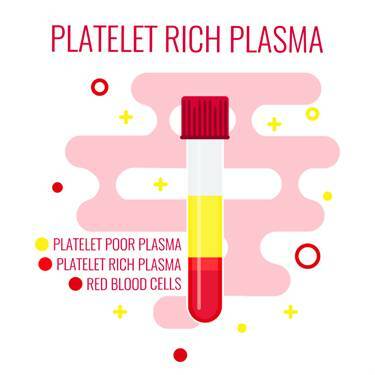 Platelet-rich plasma Prolotherapy is a regenerative treatment method that uses the healing properties of the component of the blood, platelets. Platelet's main role is in blood clotting, but it contains growth factors that play an important role in initiating and accelerating the repair process. 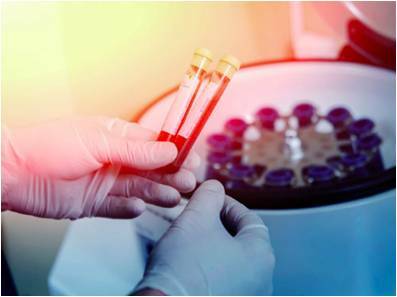 In PRP Prolotherapy, the blood is drawn from the patient under a sterile clinical setting. This blood is then centrifuged at high speed to separate different components of the blood. The platelet-rich plasma layer is separated and the rest is discarded. The platelet-rich plasma layer is then injected back into the patient at the site of injury. To increase the accuracy of location of the injection, dynamic musculoskeletal ultrasound with a transducer of 6–13 Hz is used. Inflammation phase: It lasts for 2-3 days. In this phase, transforming growth factor betas are released that help regulate cell migration and replication at the site of injury. Proliferation phase: It lasts for 2-4 weeks. Vascular endothelial growth factors, platelets derived growth factors and epithelial growth factors are released in this phase and they stimulate the formation of blood vessels at the site of injury and tissue damage as well as increase the tendon formation and collagen synthesis and stem cell replication. Remodeling phase: It lasts over a year. In this phase, collagen is matured and strengthened and injury is healed. Platelet-rich plasma Prolotherapy is a minimally invasive method and can have very little or no side effects. As the patient's own blood is used, there is no risk of blood-borne disease transfer or allergic reaction. Research has shown that PRP injection cannot cause a tumor or genetic mutation. PRP Prolotherapy is considered to be an experimental procedure and it is not approved by the FDA and insurance companies do not cover the PRP Prolotherapy treatment. One PRP injection cost varies from $800-$1000 depending on the PRP clinic location. There is a need for more research to design the optimal PRP procedure and scientifically prove the efficiency of the procedure. Stem cell Prolotherapy is a type of Prolotherapy in which the patient's stem cells are used to regenerate the damaged or injured tissues of the body. Stem cells are of two types: embryonic stem cells and adult stem cells. Embryonic stem cells can differentiate into any type of cell. After fertilization, the fertilized egg is divided into totipotent (also known as omnipotent) stem cells that have the ability to differentiate into any type of body cells. Division and differentiation of totipotent cells result in the formation of three germ layers. Some of the stem cells remain in the undifferentiated state after the birth. These cells are called postnatal stem cells. The function of these cells is to maintain homeostasis and tissue or organ regeneration. These are also known as adult stem cells. Adult stem cells can be manipulated to make any type of cells. Due to their ability to differentiate into any type of body cell, stem cells have been under research for their regenerative properties since 1963. Adult Mesenchymal stem cells (MSCs) have an active role in connective tissue regeneration. In the case of tissue injury, MSCs are migrated to the site of injury where they convert into native cells of the injured tissue to heal it. MSCs may also induce healing through a paracrine-like effect. This ability of MSCs is used in stem cell Prolotherapy. To treat musculoskeletal injury, MSCs are separated from bone marrow or fat cells. If the source of stem cells is fat tissues in the body, the procedure followed is called lipoaspirate Prolotherapy and if the source of stem cells is bone marrow, the term used is "Bone Marrow Prolotherapy". Bone marrow is harvested from the hip using local anesthetic and a specialized needle. These MSCs are then cultured in the laboratory to get a large number of cells. MCSs are injected at the site of injury where they transform into native cells and heal the injury by either replacing the damaged cells or repairing them. MSCs have been one of the primary targets of stem cell therapy in the treatment of intervertebral disk degeneration, with positive effects seen in animal and in vitro studies. MSCs are effective in producing extracellular matrix. Also, they are effective in the regeneration of disk-like cells. They also prevent cell apoptosis in the intervertebral disks. All these have made MSCs an excellent treatment choice for intervertebral injuries. In stem cell Prolotherapy, extra care and advanced equipment are required to avoid any damage to the stem cells of the body. Possible side effects of the therapy can be infection, pain and tissue injury. Prolotherapy is a minimally invasive technique that uses the platelets derived from the patient's blood to heal the pain and relieve the cause of pain. On the other hand, stem cell Prolotherapy uses stems cells derived from either bone marrow in the hip joint or from adipose tissues of the patient. Platelets activate and accelerate the body's own healing machinery and attract stem cells and repair proteins to come at the site of damage and start the repair process. Stem cells used in the stem cell Prolotherapy have the ability to transform into native cells and repair it by adding new cells, thus it is very helpful in treating degenerative diseases. Both PRP Prolotherapy and Stem cell Prolotherapy are used to treat musculoskeletal pains and degenerative diseases. Research has shown that PRP Prolotherapy is effective in healing the musculoskeletal pain caused by ligament, tendon, muscle or bone damage by using the body's machinery while the stem cell Prolotherapy not only attracts the repair cells at the injury site but also take part in bone repair. It gives it an advantage over PRP Prolotherapy. PRP Prolotherapy is still considered to be an experimental procedure and the FDA hasn't approved it yet. Stem cell therapy is the latest concept and very little research is available to evaluate its efficacy. It is also not approved by the FDA. Stem cell Prolotherapy has shown more positive results in spine regeneration as compared to the PRP Prolotherapy and is becoming the treatment of choice in case of spine injury and disk degeneration. Stem cell Prolotherapy is more expensive than the PRP Prolotherapy as it is a very advanced treatment option. Insurance companies do not cover for both procedures as they are experimental procedures and their effectiveness is not yet fully established. A combination of stem cells and PRP Prolotherapy is also being used in some cases to maximize the results and it has shown great results in musculoskeletal injury repair. More research is required to establish the effectiveness of PRP Prolotherapy and stem cell Prolotherapy and their combined therapy. There is also a need to establish optimal protocols for both therapies to maximize the positive results. Alderman, D., & Alexander, R. W. (2013). Advances in Regenerative Medicine: High-density Platelet-rich Plasma and Stem Cell Prolotherapy For Musculoskeletal Pain. Practical Pain Management. Cui, G. H., Wang, Y. Y., Li, C. J., Shi, C. H., & Wang, W. S. (2016). Efficacy of mesenchymal stem cells in treating patients with osteoarthritis of the knee: A meta-analysis. Exp Ther Med, 3390–3400. Hauser, R. A., & Orlofsky, A. (2013). Regenerative Injection Therapy with Whole Bone Marrow Aspirate for Degenerative Joint Disease: A Case Series. Clin Med Insights Arthritis Musculoskelet Disord, 65–72. Sampson, S. (2008). Platelet rich plasma injection grafts for musculoskeletal injuries: a review. Current Reviews in Musculoskeletal Medicine, 165–174.